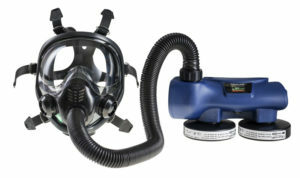 Powered Air Purifying Respirator Chemical 2F Asbest is designed for a reliable respiratory protection in environments contaminated by asbestos fibers. 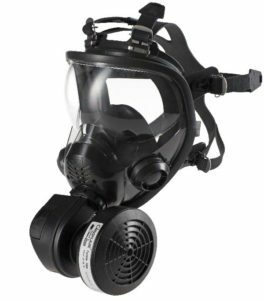 The full face mask Shigematsu GX02 uses a double seal flange which provides a maximum security seal while keeping a high level of comfort for the wearer. The mask is made of high-quality silicone which guarantees high resistance and a long operation life. It is fitted with a standard connection thread RD40x1/7“ according to EN 148-1 and thus enables using a wide range of canister filters and powered air purifying systems CleanAIR®. 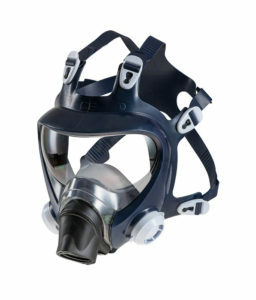 It is a new lightweight mask with a superior spherical visor. This design feature eliminates distortion and provides a clear and broad field of vision. 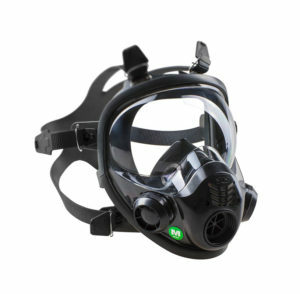 The mask is made of high-quality Styrene TPE which guarantees high resistance and a long operation life. 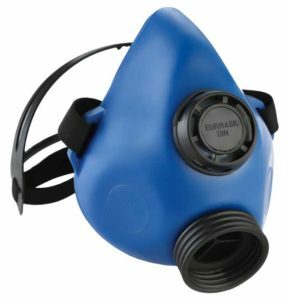 The mask is fitted with a standard connection thread RD40x1/7“ according to EN 148-1 and thus enables using a wide range of canister filters and powered air purifying systems CleanAIR®. This universal single filter half mask with connection thread RD40×1/7“ according to EN 148-1 is made of a resistant thermoplastic elastomer and has a four-point head harness which ensures comfortable and safe fitting. Its 40 mm connection thread can be used with certified canister filters weighing less than 300 g or CleanAIR® powered air purifying respirators.